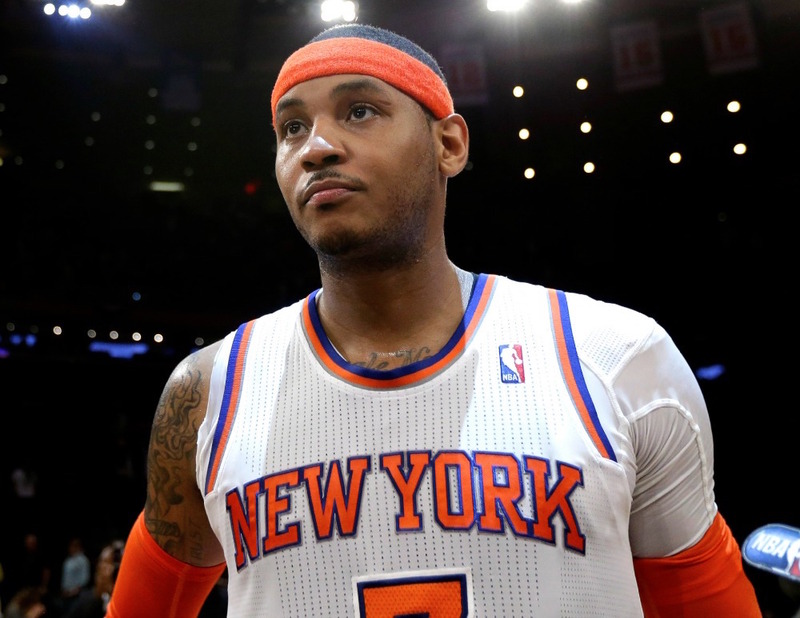 Knicks star Carmelo Anthony will reportedly miss the remainder of the season, as the team plans to announce his shutdown later today. Melo, who put off the inevitable in order to play in front of his home fans at the All-Star Game, will have knee surgery in the near future. Anthony will finish his campaign with averages of 24 points, 7 rebounds, 3 assists, and a steal on 44% shooting in 36 minutes of play. The 42 games missed will be a career-high for Melo. This entry was posted in Articles and tagged Carmelo Anthony, carmelo anthony out for season, KNICKS, KNICKS MEMES, Knicks news, knicks shutdown carmelo, melo, melo out for season on February 18, 2015 by Tommy Rothman. Multiple concerns persist among those in the medical field that given Melo’s type of injury that he will never be able to perform at his historical peak level ever again.